The following five strategies take advantage of the latest advances in technology to not only create the most energy efficient buildings possible but also maintain a work environment that promotes increased productivity. Building automation systems have come a long way in just the last 5-10 years alone. This has created opportunities for both managers of a new facility as well as those with an older legacy system (more on this coming up) that they would like to tap into for greater control. Today’s building automation systems manage more than just HVAC systems, providing additional areas to identify energy savings. By controlling lighting, security, fire alarms, and access control, for example, facility managers can optimize operations and control systems from a single pane of glass. When it comes to legacy upgrades, be sure to work with a company that specializes in BAS installation, performance, and maintenance. There are many systems and equipment options available, and a professional can evaluate your situation, providing a path to upgrade from an older legacy system while taking advantage of new technology. For more on what a BAS system does and can do for your facility, click here. Some key areas where a BAS can help reduce energy costs are with HVAC, lighting, and security/access control. 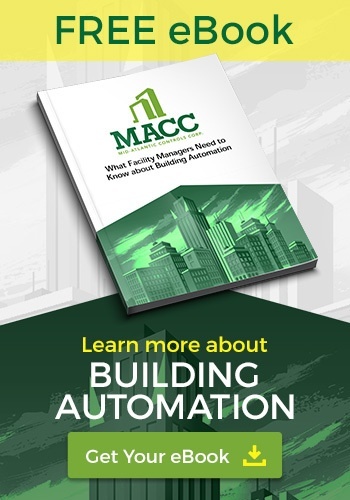 Having greater control over these systems using a modern building automation system can help a facility manager to maximize operational performance and make subtle, yet cost-effective adjustments based on data over time. Alternatively, a BAS can mitigate potential problems in real-time, creating a more preventive posture. Whether you are building a new facility, renovating an existing building, or just looking to make your current facilities and work environment more sustainable, one valuable resource is the U.S. Green Building Council (USGBC). The USGBC is a leader in the arena of building environmentally friendly and energy efficient buildings. The USGBC has created a roadmap with its LEED, or Leadership in Energy and Environmental Design, standards and rating system that is recognized and used around the world. Be sure to work a BAS company that has LEED Accredited Professionals. Using data analysis and visualization, an accredited BAS company can help a facility manager realize greater savings over time. This is achieved by doing energy audits, offering recommendations based on past experiences and proposals that support your goals in regard to saving energy, boosting system performance, solving ongoing problems, etc. This is why picking the right company to work with is so important, as these trusted advisors can provide a building operation review to determine energy management and/or environmental improvements necessary to achieve established goals. With the abundance of data that is available, it’s leverageable for real energy and cost savings. With all of this talk about using modern technology to save energy and costs, it is important to factor in employee comfort and productivity when creating a strategy to save energy and minimize overall energy costs. The 2-20-200 Rule illustrates why employee comfort is key to productivity and your bottom line, more so than lowering the thermostat. 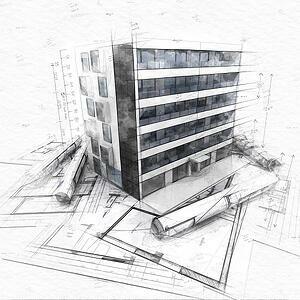 What is great about today’s building automation systems, though, is their ability to find energy savings while still maintaining a comfortable and conducive work environment that is not negatively impacted. By optimizing and automating systems, and leveraging the latest technology, BAS can also create better work environments while savings costs. These five strategies are all practical and attainable ways to improve energy efficiency in buildings. In most cases, integrating a building automation system into your facility’s operation will begin showing instant savings that lead the way towards achieving your long-term goals.